Confession here. Usually, I have to ask who plays in the Super Bowl. But, this year, I'm excited about the Super Bowl game and will probably glance at the TV a lot more when I go to a friend's party this year with either my hot sausage dip or one of these avocado dips. The Super Bowl-bound Carolina Panthers represent the states of North and South Carolina, but call Charlotte, North Carolina home. Coming off of a record 15-1 season, these hometown heroes will make their second Super Bowl appearance in franchise history on February 7. 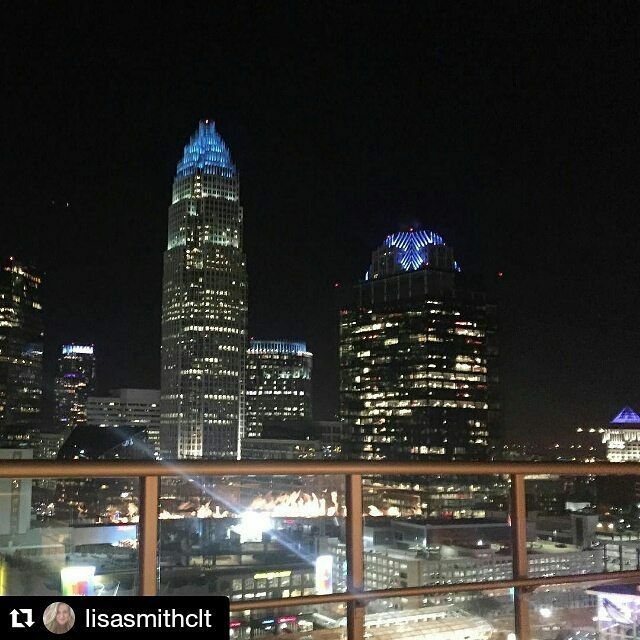 The Charlotte skyline is sporting Panther Blue at night. 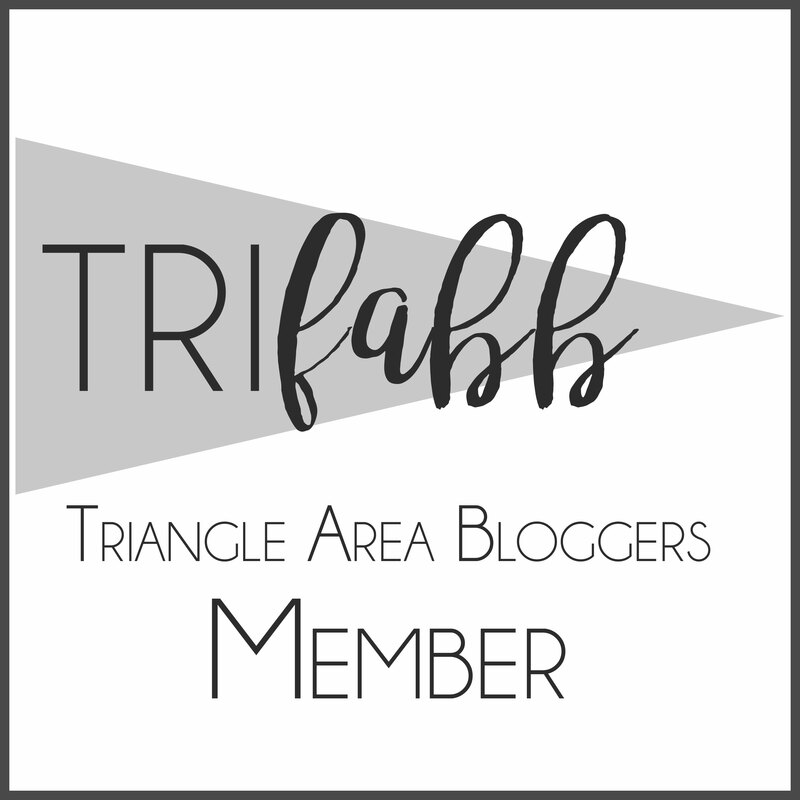 Since writing, I've spotlighted Charlotte a lot on this blog, and it is North Carolina's largest city. I recently wrote a piece on our Queen City for SPG Weekend, but that article is not out yet. I think Charlotte makes a great travel destination. I'm going to link some of my past stories below for quick reference. Charlotte is hoping that the Carolina Panthers will bring them another list of firsts. 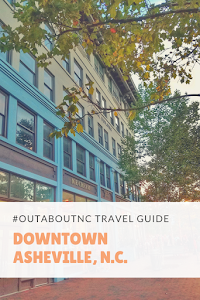 Here are some facts that I've gathered from this urban North Carolina town for you. Before the Panthers put a spotlight on Charlotte, the region had carved a name for itself with key innovations that have touched every part of the nation. Some were big and impressive, like the rise of huge banks and the growth of national retailers, such as Lowe’s Home Improvement. Others were small and quirky, including Lance’s beloved peanut butter snack crackers and the orange traffic barrels that pepper highway construction sites across the country. Take a peek into the fascinating history of the Panthers’ hometown. After a 17-pound piece of gold was discovered in Charlotte in 1799, mines sprouted across the region, including in what is now Uptown Charlotte and South End. Today, you can visit the Reed Gold Mine historic site near Albemarle, North Carolina (just east of Charlotte). In 1837, the first branch of the U.S. Mint opened here, and its reconstruction can be seen at the Mint Museum Randolph. In Charlotte on June 19, 1949, the first NASCAR Strictly Stock (now NASCAR Sprint Cup Series) race was held. Many of the sport’s most innovative promoters, engineers, and drivers, from Bruton Smith and Humpy Wheeler to the Pettys and Earnhardts, have made the Charlotte region their home base over the years. 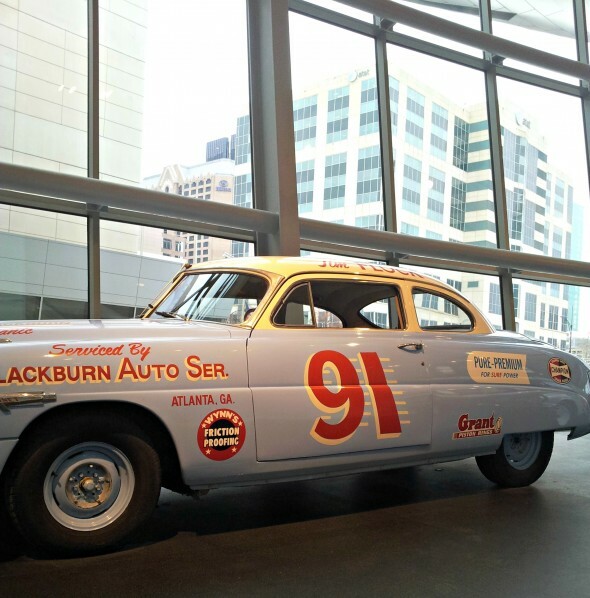 Read my story on the NASCAR Hall of Fame Museum on Skimbaco. James Brown, “Godfather” of the rhythm-based music called funk, recorded the genre’s landmark 1965 album, “Papa’s Got a Brand New Bag,” in a Charlotte studio. It was named one of Rolling Stone’s top 100 records of all time. In 1985, Charlotte mogul Hugh McColl helped craft the Interstate Banking Compact, which allowed banks in the Southeast to expand across state lines. By 1998, McColl sat at the helm of Bank of America, the nation’s first coast-to-coast bank. Today it’s the largest U.S. bank, and it’s still headquartered in Charlotte. Once upon a time, awkward and dangerous 55-gallon metal drums marked highway construction zones. Tom Cory, an engineer at Radiator Specialty Company in Charlotte, had a better idea: to make lightweight, safe barrels out of plastic. His famous barrels are everywhere. On December 15, 1987, Carolina Panthers Owner/Founder Jerry Richardson officially announced an NFL franchise bid for the Carolinas, and on October 26, 1993, NFL owners unanimously selected Carolina as the 29th NFL franchise. It became the first expansion team since 1976. The U.S. National Whitewater Center opened in Charlotte in 2006, becoming home to the largest man-made whitewater river in the world. The outdoor entertainment complex, featuring whitewater rafting, zip lining, rock climbing, challenge courses and more, now also serves as an official Olympic training site for canoe/kayak slalom. Charlotte will host the U.S. Olympic Team Trials for canoe/kayak slalom at the Whitewater Center April 7-9, 2016. Read more at CharlottesGotAlot to help you plan a trip to the Panther's hometown or learn more about Carolina's team. 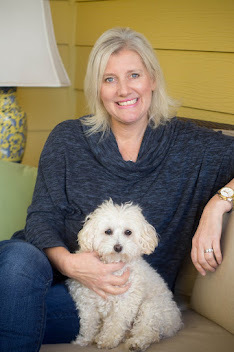 Here at Small Victories Sunday Linkup, we like to feature the best ideas on the internet to celebrate the small victories in our lives and blogs. Our participants are hard at work providing our readers with the best books, recipes, DIY, home, health and blogging ideas to make your life simpler, happier and healthier! Bloggers, share with us anything that will help our fast growing community live a happier and healthier life. Sunday is the perfect day to reflect and celebrate the week that passed and look forward to the week ahead. Our linkup is open all week long so feel free to stop by anytime, we're always ready to party!